Anyways, Phil basically summarized 4 key components on how to improve your 40 yard time. By no means this was an exhaustive list, but it consisted of basic guidelines on what to watch out for, or what we take for granted. 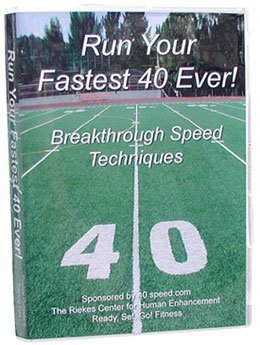 Key to the 40 is covering the first ten yards in 5.5 to 6 steps in perfect acceleration position. Almost all athletes take two steps they don’t need in the first ten yards. And this alone will get them two tenths. 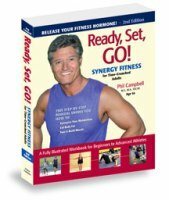 Phil had an Olympic sprinter from the Netherlands (see his web site for details) and he did the same thing. Typically, tight hamstrings make athletes either pop up, if they are taking long steps, and if they stay down, tight hams cause them to take two baby steps in the first 10 yards. Speaking of tight hamstrings… while we get athletes to static stretch after workouts or at home and get good compliance when it’s ten minutes. In his experience, if this is not taught first, it gets dropped. Since we live life on concrete and hard surfaces, as humans we adapt by wearing cushioned high-heel shoes that make the Achilles and outside band of the hamstrings extreme tight. On average, the 10-Minute Stretching Routine gets four inches of measurable improvement in four weeks — almost guaranteed with the four times a week – after or away from speed workouts. With this, athletes can lengthen their stride and stay low during the first 10 yards hence positioning the body to propel the movement with the gluts, upper hams, hip flexors, rather than pulling with their lower hams when they pop up. Also, we see most athletes in strength training today doing squats or leg press with toes pointed out, so they can do more weight to impress a coach. But the more they lift this way, the more they begin to get adductor strong and tend to toe off duck-footed rather than straight. This tip isn’t on the video, but it seems to hold true for every athlete flying in for speed training. While we get athletes to do some strengthening exercises with toes out to make sure their adductors are strong, (most are in a lateral moving sport) the majority of the strength work for legs is done with feet straight, so they get the vastus lateralis stronger and in balance with the adductors, and this straightens out the foot when they strike. Football athletes wanting 40 yard dash information will be the ones that are generally taught by their coaches to squat with toes out. And clearly they will squat more weight that way. But this also makes athletes toe off incorrectly. We get a lot of football athletes for the 40, and lots of baseball athletes wanting their 60. Phil had several college center fielders, who were the fastest on their team drop their 60 time by 4 tenths with this. E-Lifts are called pause-presses by some and we get the best results by using this technique on all push and press strength exercises. On bench for example, the bar is lowered then stopped at the bottom for approx two seconds (just like in the set position) then they explode out. 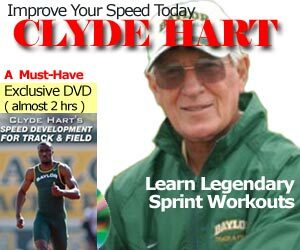 Perfect for track and football that starts from a static position, but you should do this for every sport because it targets fast-fiber and it gets athletes so much for fast movements stronger. I used to do 3 sets of 3 reps in the bench press using this “pause-presses” technique. The video is only $29.99 – a great value for this double DVD set.